enjoy them as much and I’ve gone back to Raw Juice Guru. The Cleanse was awesome. I will do it again in few months. The juice was ahhhmazing and the food is awesome. How can you say no to a cleanse that was designed for you. Its like saying no to personal trainer designing a workout just for you. Ordered 7 day cleanse and I was very surprised how my juices changed daily. To show you how much I love Raw Juice Guru, I ordered 5 times now. ordered from the raw food meal delivery. The raw food was simply exceptional. The portions were huge it was a surprise I appreciated. me feel. Thank-you for your valuable service. I didn’t even notice I was on a cleanse! Super easy, with zero headaches. A pleasure as always to do a Juice Cleanse, but this stood out from the Rest. I am from New York and have done many here, but this experience was unlike the rest and loved the different Juices. Hard to get bored when the juices changed. The Juice cleanse was great! Me, My husband and daughter all did it togather. Would definitely recommend this experience! We ‘re actually amazed that we did it!! Feel proud. Cleanse was good. Took me time to get you used to the green juices but I felt amazing after drinking it and I couldn’t get over how much more I can do in the day. Great way to start the year. Educated, smart, supportive, Kind, Understanding are just a few words that I would use to describe Eliane and the Team at Raw Juice Guru. The amazing drive who always had my juices delivered at 5am, yes you heard me 5am. 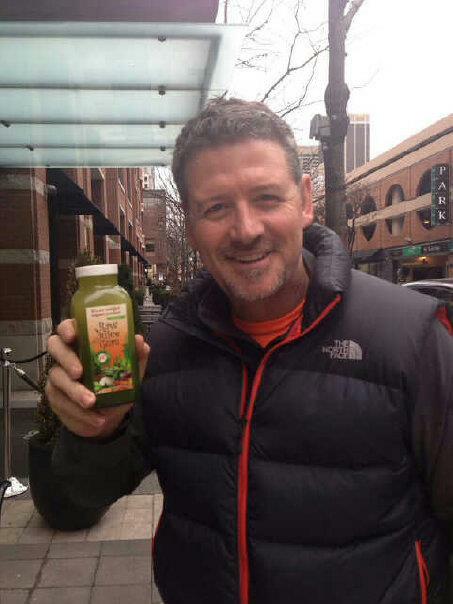 This was my 4th doing a Juice cleanse, but first time with Raw Juice Guru and I am hooked. I have never tasted juices like these. Loved the variety and how the juices changed daily, loved that it was customized and they were so accommodating. Highly recommend it to anyone. I Definitely recommend Raw Juice Guru. I’ve experienced huge positive health benefits from their juice feast and I recommend it to my friends and clients! Loving the juice cleanse!! I have not craved coffee since starting nor have I gotten a headache from not having caffeine. Amazing. Dropped 6 lbs by day 2 and only did 3 day juice feasting cleanse. Full of energy and just overall feeling fantastic. Been raving about it to everyone. Love that its customized and tailored for me, and that the juices changes daily. Where does one begin to talk about Raw Juice Guru? Completed my 21 day Cleanse, it was a combination of Juice feasting cleanses and Raw food Cleanse. I began with 3 day Juice cleanse, followed by 4 days Raw Food, and then repeated it for 3 weeks. I wasnt sure if I would be able to do 21 straight days of Juice cleanse, even though my body needed it to get stronger from the Radiation I had completed. Eliane and Kyla suggested I do the mix i mentioned above and I am glad they did. It was hard in the beginning and it got easier and easier. They are so helpful and guide you and for alot of the times your support system. I am happy to say that I met 2 amazing women that I am happy to call friends, after being stuck with me for 21 days. I had a long conversation with Eliane prior to the 3-day cleanse about whether I would be able to get through it, and she assured me that it was definitely possible, and that I would feel a thousand times better afterwords. She was so right. Despite my expectations, I thoroughly enjoyed every single juice, and after only 3 days, I felt amazing. I felt cleaner, lighter, and refreshed. I would definitely recommend Raw Juice Guru to anybody interested in a cleanse! Thanks Eliane! 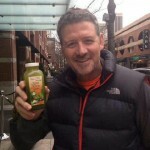 A big kiss to @RawJuiceGuru lost 11 pounds – gallons of toxins – #calm #glow #focused #lifechanging #thankyou! 7 day cleanse! I completed my 3 day juice cleanse. Going into it, I was worried that the juices were going to taste too “green” and be difficult to drink but they were actually delicious! On the 4th day I was craving more juices and was actually sad that the cleanse was ending. I’m still ordering these yummy juices and they will become part of my normal diet. The team at Raw Juice Guru are truly professional and they took the time to ensure that the juices were specifically tailored to me. “Thank you so much for the Juice Feast preparation and the Raw Food Cleanse, I did 13 days in total. 10 days Juice Cleanse and 3 days Raw food. I’ve really enjoyed it and feel lighter and more energetic than I ever have! The variety of juices, the food, the elixirs, the service all superb and simply divine. My kids even loved the Juices, so we are purchasing a juicer now. I’ve been truly blessed to have come across this company and am happy that I chose to do the juice feast, it has helped put me on the road that I want myself and even my family on! Many thanks to Eliane and The Raw Juice Guru team! I had the pleasure to try the 10 day juice feast and I really liked it. At first I was worried that I would go hungry, but after the first day I was rest assured that would not happen! (There are a lot of juices for you to drink)! I did not experience any hunger and by the 3rd day I could definitely notice a change in my digestion (for the better). I was very pleasantly surprised with my discovery!!! I felt vibrant and clear minded throughout the day, including after 5pm driving back home from work and going to a job interview after work!!! I had many people at work asking me what I was drinking and it was a wonderful opportunity for me to tell people about juice feasting. Some were curious and interested, others not so much. Either way great conversations emerged from that, and I think that’s important too. Having it delivered to me was incredibly convenient and easy. I also really enjoyed learning about the healing properties of each juice that I was drinking. I had a positive experience with juice feasting and would both recommend it and do it again in the future. One word to describe my experience would be AMAZING. The staff was a pleasure, my concerns and my emails were answered right away. No matter how early I wake up, the cooler is always outside my door. The Juices were delicious and they changed daily which I absolutely loved. What I loved the most was that this cleanse was for me, they tailored the Juice cleanse to improve my issues and my concerns towards my health. I started off doing the cleanse for 3 days then I extended it to 10 days. I recommend this for everyone and anyone. Have done other Detoxes and Juice cleanses, They are all Generic. This is far from Generic. Its One of a kind program that was made for me. Results, without going into great detail, It helped my condition more than I ever thought it would. I am no longer tired or runned down. I have more energy, my skin is glowing. The best part “I CAN SEE MY ABS” Happy Happy. FINALLY A JUICE CLEANSE THAT IS NOT GENERIC, someone out there was listening to my prayers. I met Raw Juice Guru at the Raw Vegan Festival, instantly was impressed. Eliane was a pleasure to talk to, she knew everything about my problem and was very helpful and eager to get me started. Did 14 day of Juice Feast, and I am happy to say that it helped me recover beautifully from my Chemo and radiation treatments. Eliane is professional and sheuamazes me, no matter what I email her she always gets back to me, always so ready to help with advice/information. I am sure she wanted to kill me throughout the cleanse I was constantly harassing her lol, I wish I met her before I did Chemo and radiation. From the bottom of my heart Thank you Eliane for all the times you calmed me down, gave me advice, talked on the phone about my worries and concerns. You are one of a kind, a TRUE HEALER.